Clear Water Revival is a leading company in the design and construction of natural swimming pools and natural swimming ponds. We are passionate about the science of water and its our goal to rid swimming pools of harmful chemicals. After developing our ClearSpring biofilter, we are able to make any swimming pool, indoor or outdoor, completely chemical free without the need for planted areas. No chlorine, no salt, no need for planted areas, just crystal clear, 100% chemical-free swimming using state of the art technology. M R Pool Services Ltd.
With 20 years of experience, MR Pool Services has completed swimming pool projects for hotel chains, schools and health clubs in addition to private households. We have been in business for 10 years. Mark Roberts and his team have many years of experience when it comes to all aspects of swimming pool design, construction and maintenance. Using our expert knowledge, we'll work with you to construct your perfect swimming pool. 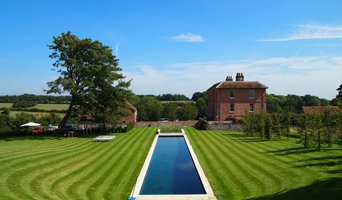 All of our work is carried out and completed to the highest possible standards when it comes to safety and aesthetics. In addition to our maintenance and construction services, we sell a broad range of pool equipment and accessories, including heat pumps, safety covers and pool chemicals. 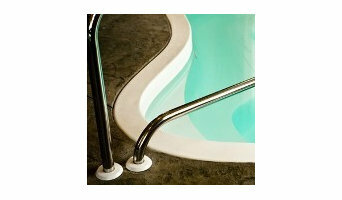 For customers who would like to build their own pool, we offer DIY pool kits. In these instances, we usually take care of the technical side of the work for them, including the site plan, outlay, pipework and plumbing. Of course, we don’t all have the room, money or climate for our own swimming pool, but hot tub prices are usually less than swimming pools' and are a more compact, weather-enduring option, too. With Tetbury, Gloucestershire hot tub suppliers available on Houzz, you can compare prices, photos of hot tub installations, reviews, recommendations and ratings from previous clients. 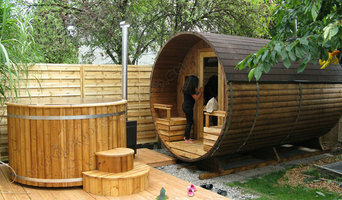 How will Tetbury, Gloucestershire hot tub and swimming pool builders install my pool/hot tub? Do you want your Tetbury, Gloucestershire swimming pool builders or hot tub suppliers to help you with maintenance and repairs? Find swimming pool builders or specialists on Houzz. Narrow your search in the Professionals section of the website to Tetbury, Gloucestershire swimming pool builder or hot tub supplier. You can also look through Tetbury, Gloucestershire photos by style to find a swimming pool installation or hot tub installation you like, then contact the specialist or builder who designed it.